I have finally returned from my relatively extended stay in England. I first visited London for some sight-seeing. On January 3rd, I took the “Hogwarts Express” to Wroxton Abbey for my first residency in the Fairleigh Dickinson MFA program. I have been uploading all of my photos to Flickr, but for some reason, the mobile app seems to be uploading them randomly instead of in order. I will have to organize the album by date once I get everything uploaded. Day 2: Harry Potter Studio Tour – we had to nerd out and visit the studio where they filmed the Harry Potter movies and take in all of the amazing sets, props, concept art and more. 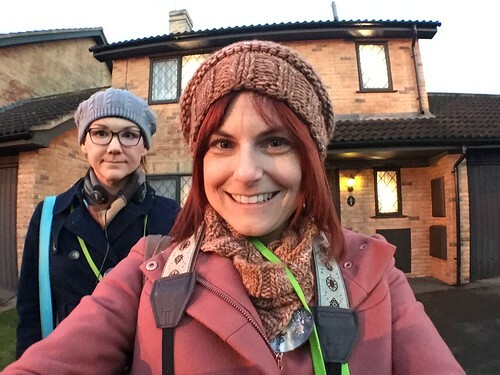 Below is a photograph of me standing in front of the Privet Drive set. Day 3: Fireworks in London – despite our status as complete wimps when it comes to frigid weather, we obtained tickets to the NYE fireworks display in London. I stuck it out, despite five hours in the crazy cold weather, all to capture this tiny video. I have some longer ones from my phone, but the color was much superior on my Olympus. 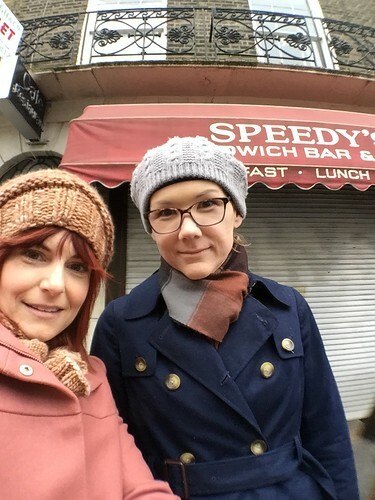 Day 4: Sherlock and Shopping – Even though Speedy’s was closed for the new year, we stopped by and took some photos outside of 221B Baker Street (really, it’s 87 when they aren’t filming) and then hopped over to Primark for some shopping. Below is a photo of us front of Speedy’s. 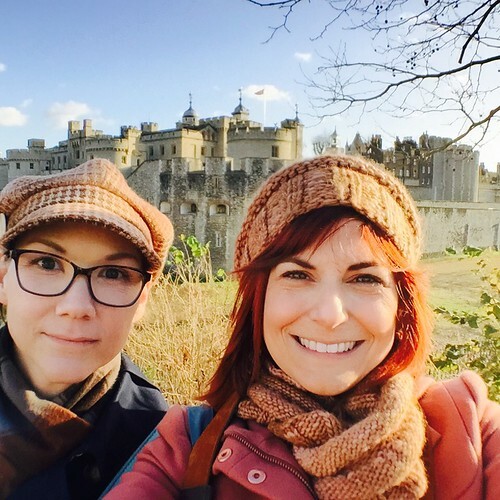 Day 5: Tower of London – we got our historic fix by visiting the Tower of London and taking the tour with a Yeoman Warder. He was hilarious, and the stories were great. The tower itself was smaller than one would think, but it was gorgeous and the amount of history packed into its interior was impressive. We also waited in a fairly long line to see the crown jewels, which were sadly underwhelming. Photo is us in front of the Tower of London. Day 6: Wroxton Abbey – from then, it was on to my residency at Wroxton Abbey. I will post more about the residency and my time there in another post, but for now I will leave you with a nice panoramic shot of the Abbey. Cheers! Final Book Cover for Compendium!